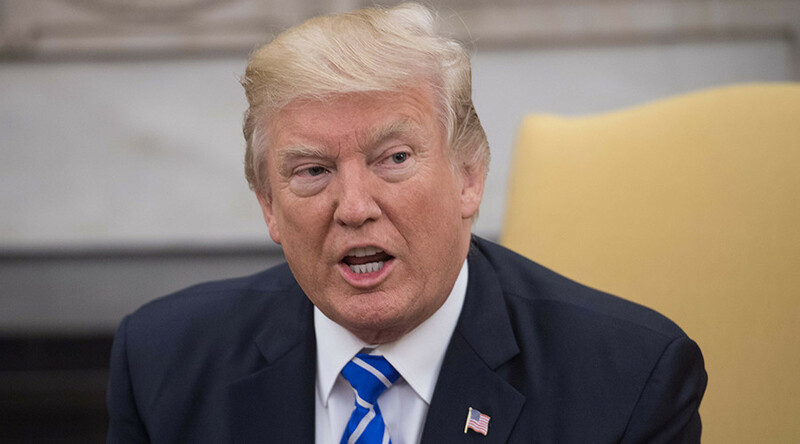 President Donald Trump said the United States would be imposing more sanctions on North Korea. "We will be putting more sanctions on North Korea," Trump told reporters on Thursday, as he was heading into a meeting with Afghan President Ashraf Ghani. National Security Adviser H.R. McMaster told CNN Thursday morning that Trump will make a sanctions-related announcement about North Korea later today. McMaster added that the announcement would follow meetings with Japanese Prime Minister Shinzo Abe and South Korean President Moon Jae-in, key US allies in the region. “I think we’re making a lot of progress in a lot of ways,” Trump said of discussing North Korea with South Korean President Moon. The ‘new’ sanctions would not target oil, a senior official told Reuters. 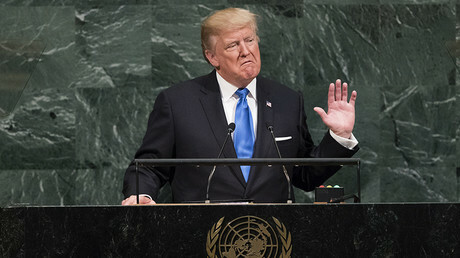 In his address before the 72nd session of the UN General Assembly on Tuesday, Trump threatened North Korea with total destruction if it attacks the US or its allies. He went on to refer to Kim Jong-un as "Rocket Man" - a term he had previously tweeted - and accused the North Korean leader of being "on a suicide mission for himself and for his regime." On Wednesday, the US ambassador to the UN, Nikki Haley, stressed that Trump does not want a war with North Korea and that the US will continue diplomatic efforts. The US “has lots of military options” but “no one wants war, the president doesn’t want war,” Haley told CBS. South Korean President Moon told the UN General Assembly on Thursday that sanctions were needed to bring Pyongyang to the negotiating table and force it to give up its nuclear weapons. Moon stressed that Seoul was not seeking the collapse of North Korea, and that the international community was willing to help Pyongyang if "it stood on the right side of history." Moon cautioned countries to adhere to UN sanctions on North Korea, and to impose tougher steps "in the event of new provocations by Pyongyang." The UN Security Council voted unanimously twice in recent weeks to tighten economic sanctions on North Korea, including targeting shipments of oil and other fuel used in missile testing, after Pyongyang reportedly tested a hydrogen bomb. Under the UN resolution passed on September 11, all oil imports were banned and international assets of the government and its leaders were frozen. The resolution also banned North Korea from importing all natural gas liquids and condensates. It also bans all textile exports and prohibits any country from authorizing new work permits for North Korean workers - two key sources of hard currency for the country. Haley said the Trump administration believed the new sanctions combined with previous measures would ban over 90 percent of North Korea's exports reported in 2016. Resolution 2371, passed in August 2017, banned all exports of coal, iron, lead and seafood. It also imposed new restrictions on North Korea’s Foreign Trade Bank and prohibited any increase in the number of North Koreans working in foreign countries.